All breathalysers gradually 'drift' in accuracy over time and should be recalibrated at 6 month intervals to ensure ongoing accuracy levels. This is similar to a watch/clock which indicates the correct time at new and then may gain/lose a few seconds over the space of a few months and should be reset to the correct 'time'. 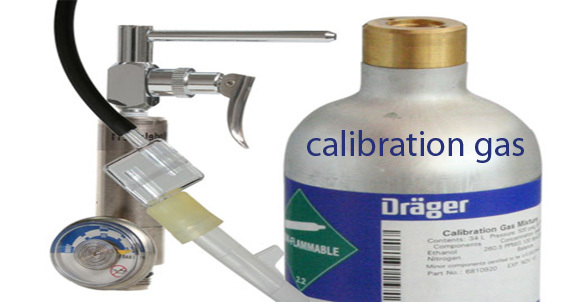 We use certified wet bath and dry gas simulators to accurately recalibrate your breathalyser. Please note that the AL6000 and AL7000 can be recalibrated by the user by insertion of a precalibrated sensor chip (We supply sensors in mg/L only) - please click on the top menu under Premium and select the relevant dropdown. We can also recalibrate all fuel cell devices, please contact us for advice if your unit is not featured above. We aim to return the breathalyser back to you as soon as possible and appreciate that 'down time' can have serious implications for some companies/individuals. Normal turnaround times are 7 - 10 days but we are also able to offer an express turnaround service which will fast track your calibartion. 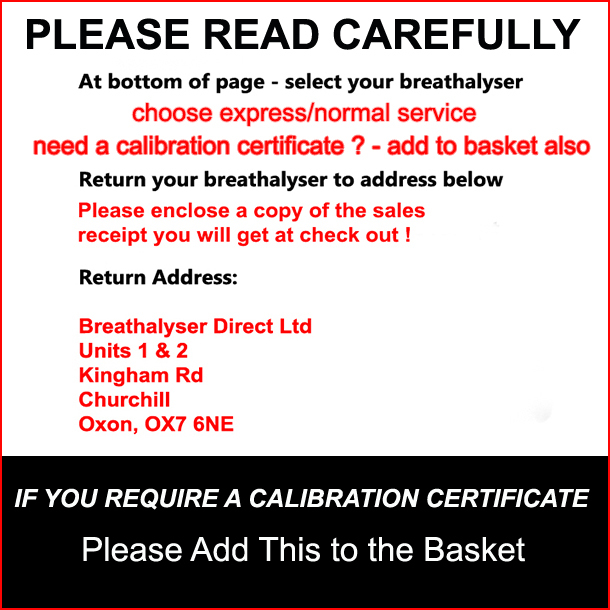 If you wish to order, please click on the relevant button for direct payment and then send your breathalyser, suitably packaged and insured to our recalibration laboratory at the address below. We will not normally acknowledge receipt but you will receive a confirmation e mail once despatched back to you. Please ensure that you enclose a copy of your purchase confirmation e mail so that we know where to send the breathalyser back to ! IMPORTANT: PLEASE SEND THE DEVICE ONLY BACK - WE DO NOT NEED ANY HEAVY CARRY BOX OR PRINTERS - THIS ADDS WEIGHT AND COST. UNFORTUNATELY DUE TO RISING POSTAGE CHARGES IF YOU RETURN WITH THE HEAVY CARRY BOX OR PRINTER WE WILL NEED TO CHARGE ADDITIONAL POSTAGE CHARGES BEFORE RETURN. THANK YOU.